Established in 1889, Ensors is one of East Anglia’s oldest and most respected firms of chartered accountants. We were appointed to submit two awards on behalf of Ensors: Partner of the Year and Mid Tier Firm of the Year at the prestigious British Accountancy Awards – known as the Oscars of the industry! Although 1000 word submissions are always an editing challenge, Fiona’s accolades for Partner of the Year were a delight to share. We were able to focus on her significant achievements secured within an impressively short time-frame after Fiona launched Ensors’ new forensic accountancy team, which became the largest in East Anglia within just three years. She also harnessed the power of social media to deliver new networks and instigated innovative digital HR initiatives within the practice. 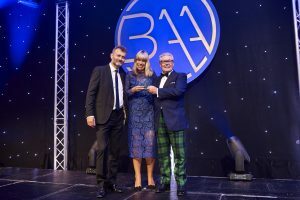 We were delighted to have helped Fiona Hotston Moore and Ensors become recognised as innovative and successful – transforming and demonstrating best practice within the accountancy industry. We were very impressed with the service that Reflection PR Limited provided us which led us to successfully win a highly sought after national award. From the initial meeting to the day we submitted our entry, the team were friendly, approachable and helpful. They understood very quickly the nature of our business and the criteria for the award and this enabled them to ask the right questions subsequently writing knowledgeably about us.